A gentle melody and vulnerable vocal are exactly right for the song. The album’s title track was its only single, and peaked at #62. Written with John Northrup, the title was a play on the country singles chart title, and depicts a female country fan heading out for a good time. It was the last time Dillon sent a single to country radio, as the planned follow up, ‘Easy Come, Easy Go’ (a co-write with Aaron Barker) was picked up by George Strait. It’s actually not one of my favourite songs, but its valedictory message is oddly appropriate given that the decision to let it go meant the end of Dillon as a wannabe artist. Dillon sings it quite straight. ‘What’ll I Do With It Now’ is a rather charming little song of a boy growing up feeling the lack of a role model due to the breakup of his parents’ marriage. Presents are no use without daddy’s presence to help him make the most of them. There is a bitter little twist in the last verse when, as a teenager, he is lost as to how to treat his first love interest, and a still bitter mother points out that dad was no good at relationships anyway. i really like this album, mainly for the song quality. 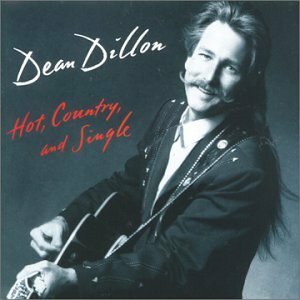 While Dillon was a better writer than singer, the songs here are so good his more limited vocals don’t matter much, plus several of them are in a conversational style in any case.